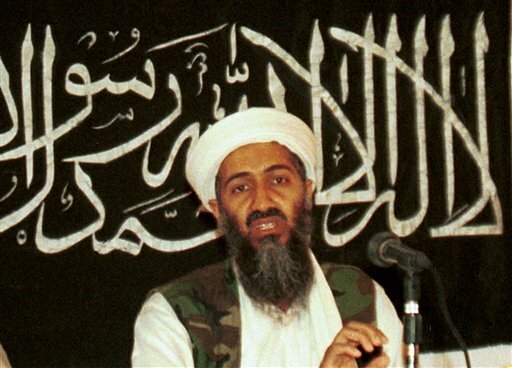 FILE – In this 1998 file photo, Ayman al-Zawahri, left, holds a press conference with Osama bin Laden in Khost, Afghanistan and made available Friday March 19, 2004. A person familiar with developments said Sunday, May 1, 2011 that bin Laden is dead and the U.S. has the body. The false reports of Osama bin Laden’s death began almost immediately after Sept. 11, 2001, and persisted at a rate of at least once or twice a year, every year. The reports — generated by (usually anonymous) statements by American officials and a dizzying array of foreign sources — often generated international headlines. May 2011 President Obama announces that the U.S. killed bin Laden in Pakistan. Justin Elliott is a Salon reporter. See also this editorial at Salon.com, “USA! USA!” is the wrong response, by David Sorota.